There are a lot of factors that can generate acne to transpire. First is our Genes. Genetics can't be changed but other factors like our daily routine and the way we take care of our skin can be improved to make acne control no problem at all. Don't feel so sad about your acne because there's lots of things you can do. This tips will help you say bye-bye to those zits. 1) Include Fruits and Vegetables in your daily Diet. A healthy diet consists of at least four to five servings of fruits and vegetables. Acne control will be a lot easier if you start including this in your daily habit. 2) Rose water can be used as a facial cleanser. Dipped in a cotton, clean your face using this everyday for at least two to three times each day. 3) Don't wait for your pimples to form. If you see a bit of it in your face, do something. Pat some ice on the affected area for this will make it less swollen. 4) Start taking vitamins that contains zinc supplement. Zinc helps in making your skin stronger and acne resistant. 5) Cucumber can also help. Blend it with some water to form a mask. Put it in your face and leave it for about half an hour before rinsing it off. This is a good and affordable acne control remedy that can also refresh your skin. 6) Use only mild soaps, and avoid soaps that contains petroleum based products and animal based ingredient for this causes your skin to get dry and irritated. 7) Use alcohol free facial cleansers. Alcohol tends to dry your skin more. 8) Makeup also prompt the occurrence of acne. Choose your makeup wisely. Most of the makeup available contains petroleum based ingredients that makes skin dry. An all natural makeup helps acne control become more effortless. 9) Lastly, Drinking loads of water is very important. It flushes out the dirt in our body. Now you have a list of some helpful tips how-to control acne. It is your choice if you are to do these methods. 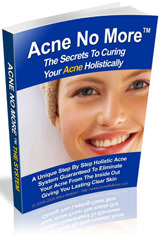 There are lots of ways in acne control, be it naturally or by technology. Skin products are always around for you to pick your choice. The thing is, these products are very costly. If you are the innovative type of person, better try this methods in acne control. It is all natural and wont do any harm in your body. No side effects of course! Plus, you can really save a bunch out of this. There's no harm in trying! Saying goodbye to those acne is just a step away!